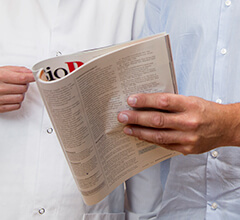 Statens Serum Institut was looking for an alternative to ELISA that could provide more details about process-related impurities. Today, they benefit from the Host Cell Protein analysis in their process development and comparison between vaccine batches. Statens Serum Institut (SSI) is under the auspices of the Danish Ministry of Health. SSI is responsible for the purchase and supply of vaccines to the Danish national vaccination programs. These include the Childhood Vaccination Program, pandemic preparedness, and also other necessary preparedness supplies. SSI used immunochemical assays for analysis of Host Cell Proteins (HCPs) in drug substances. However, they found that these methods had limited coverage, which resulted in a lack of detail and accuracy. 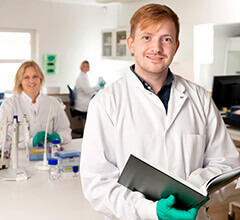 To improve their HCP analysis, a close collaboration between SSI, Alphalyse and the Protein Research Group at SDU began. Together, we developed an orthogonal method, which provided additional information about the HCPs obtained from process-specific ELISA. Specifically, the HCP analysis provided SSI with the identity and quantity of the individual HCPs. This made it possible to compare and identify differences between various production batches. 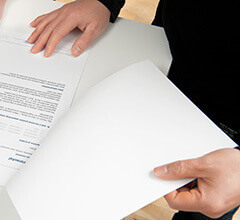 In addition, SSI found that the method was applicable for process development. Here it provided detailed knowledge about amounts of individual host cell proteins, and how to eliminate them during the downstream purification. 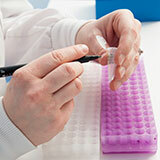 A knowledge, SSI could not obtain from any ELISA assay. 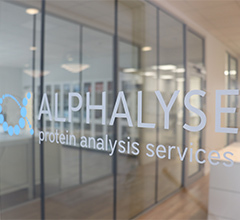 "Alphalyse´s HCP analysis saved us the development of an ELISA assay that may not have worked anyway. The HCP team provided very competent explanations of test results and was very open in discussing the method capabilities."